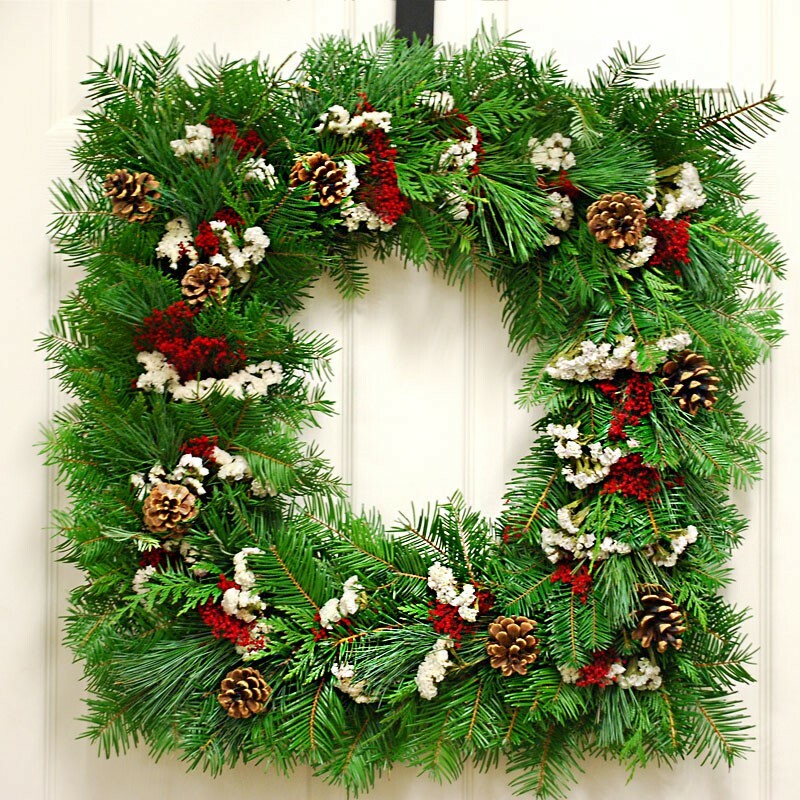 This unique design for a Christmas wreath is created with all three of our Northwest boughs. Douglas fir, cedar, and white pine. 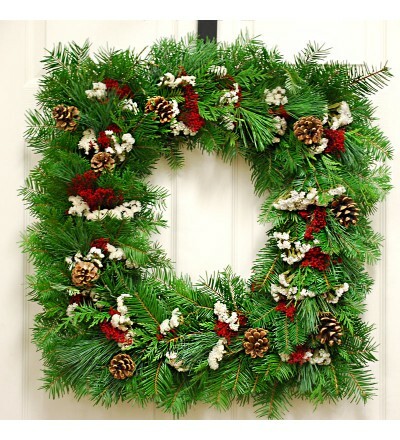 Topped with beautiful red blooms broom, snowy white sinuate status and pine cones altogether make an enviable decoration for any home or door.